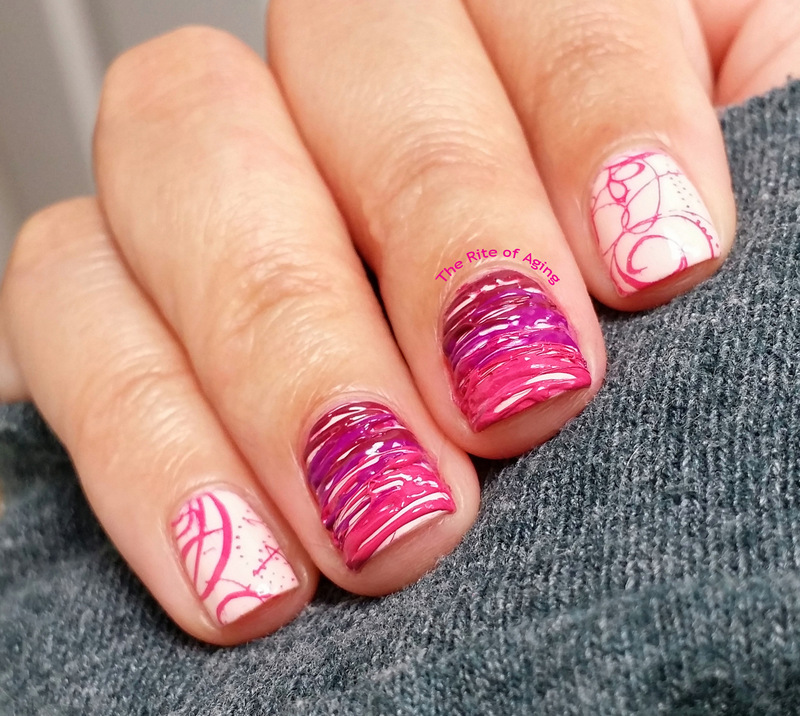 Today I went with a fun, pink sugar-spun gradient. I cut my nails last night so this ended up being a little more difficult than I anticipated. I still like how it came out, though! Love this. Can you tell me if there is a tutorial on how to do the sugar spun nail art please? A couple of tips from me personally, though: I put the nail polish blobs out before I apply my base color, that way, I am not waiting an extra 10-20 minutes for the polish to thicken. I prefer to use a toothpick as it picks up less product on the end than a dotting tool and I mix the polish puddle occasionally to make sure the polish is drying evenly. I prefer the thicker strings so I do not wait for the polish to dry to that type of stringiness that most people prefer. However, since the polish is still wet and pretty gloopy I hold my nail about 1 inch away from the “puddle”.